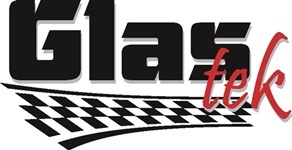 Glas Tek is a proud New River windshield replacement and auto glass repair mobile service company. We offer New River auto glass replacement quotes online, $50 CASH on the spot, free rock chip repairs, 10% Rewards, nationwide lifetime warranty, discount auto glass, and we mobile to New River residents homes and businesses for FREE. Not every New River windshield replacement service shop is created equal. When it comes to handling any auto glass replacement or repair, you want professionals with the experience and expertise to properly handle the repair and make it go as smoothly as possible. You don’t want to be finding broken little pieces of glass in the interior or hear about problems with any part of the process. You simply want your car looking as good as new by the time she’s done. Our professionals have seen every type of crack and damage imaginable. You can count on us to take care of your New River windshield replacement needs fast and at a price that won’t bust your budget. Whether you live in Phoenix proper or out in New River, we can help take care of your vehicle needs so you have a clear and safe view of the road. Don’t drive with a damaged windshield in New River, Arizona. Not only is it possibly against the law, depending on the amount of damage, but it simply isn’t safe! Don’t put you, your friends, or your loved ones in danger. We understand that no one likes the idea of dropping money on an unexpected expense involving their car, but it’s always better to drive down the road knowing you’re going to be safe instead of sorry. Get a free online New River auto glass replacement quote online today! Even beyond the safety and legal ramifications of having a damaged windshield, do you really want to drive around New River in a car that looks that beat up? Where’s the pride? Where’s the respect for your vehicle? While New River windshield replacement isn’t what you would consider a fun process for the car owner, you’ll be amazed how much you love the new look and feel once the job is done. In fact, you may even have auto glass replacement coverage on your insurance policy and not even know it! Arizona is one of the few states that offers this kind of coverage at a very low premium so you may have added and not even know it! We can help you find out if you carry this coverage, what’s the worse thing that can happen? 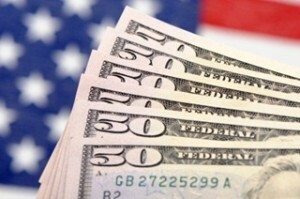 You wont be locked into replacing your windshield if its not in the budget and at least you know for future claims. Start your New River auto glass replacement insurance claim online or simply give us a call for more details. We are approved by all major insurance companies including: State Farm, Geico, Allied, AAA, Liberty Mutual, Farmers, Metlife, Kemper, Safe Auto and many more. 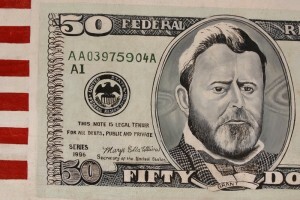 Plus, you will receive $50 CASH BACK ON THE SPOT for any windshield replacement insurance claim. We’re a female locally owned and operated business right here out of Phoenix, so we know the challenges that come with the desert and city driving environments. We’re proud to be your go-to guys for proper windshield repairs and replacement, and we even offer free mobile service to help residents of New River get their vehicle in and get the repairs they need. Don’t drive one more day with a damaged and unsafe windshield in New River, Arizona. Even if the cracks don’t seem like much of a problem now, any growing crack means more structural damage and less protection. You don’t want that to suddenly fail at the wrong time. Come in today and let us show you what professional auto glass replacement looks like! New River is part of the Agua Fria River system that drains into the Salt River, the Salt River was named after the seasonal wash of the same name. In 1868 it was founded by Lord Darrell Duppa and was turned into a stagecoach stop at this time. It was the terminus of the old Black Canyon Highway for many years, Black Canyon Highway is now the Interstate 17. There use to be a pavement that ended in New River and extended as a dirt path to the city of Prescott. 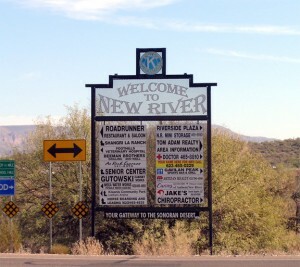 A very large piece of New River Arizona’s rural character still remains, even though it’s future as a rural community may end eventually considering the city of Phoenix is ever expanding into this area.